Wondering which brand of tempera cakes to buy or even wondering what in the world tempera cakes are? Here’s why we’ve fallen in love with them and which brands are our favorites! 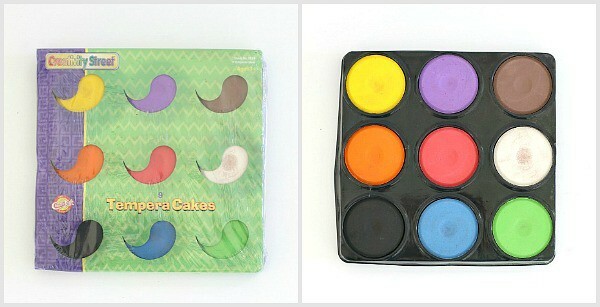 We recently fell in love with tempera cakes after being introduced to them by Lucy’s awesome first grade teacher. When I got online to purchase our own set, I saw so many different tempera cakes out there and wondered which to get, so, I decided to just buy them all! That way I could find out the pros and cons to each brand and share the results with you! This is not a sponsored post. I purchased each set of tempera cakes on my own and was not given any sets to review or any compensation for this post. (I just really wanted to try them out!) This post does contain affiliate links. Tempera cakes are pretty much a mix between liquid tempera paints and watercolors. They’re in the form of cakes and you use water and a brush with them (like the watercolors you’re used to), but the color is more opaque than watercolors. 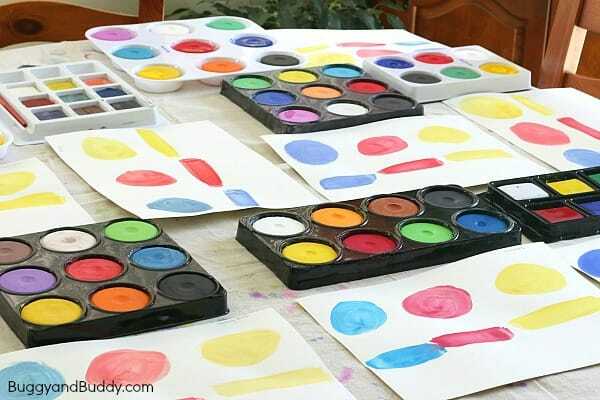 Many of the paints, when dry, resemble the look of regular tempera paints on paper. What are the advantages and disadvantages to tempera cakes? 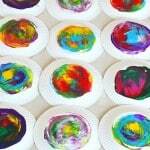 Tempera cakes are perfect for when you want to do a painting activity with very little prep or mess. 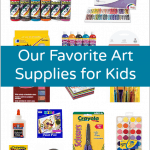 You don’t have to grab all the bottles of tempera paints and squirt them into their containers- you just grab the tray of cakes, a brush, and a cup of water, and you’re all set. There’s very little involved in setting up and clean up. Also, even though the cakes seem small, they will last you quite a while. 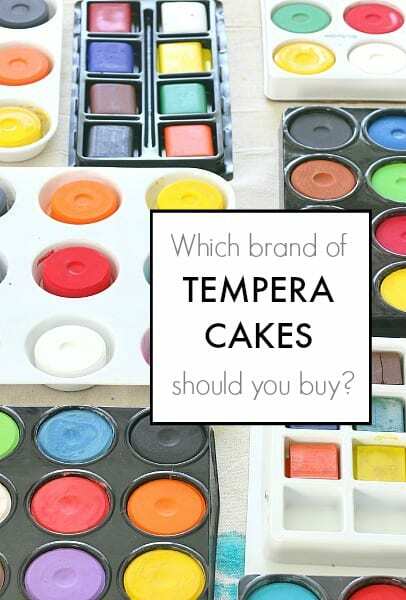 Which brands of tempera cakes were our favorite? I purchased eight different brands of tempera cakes to try out. 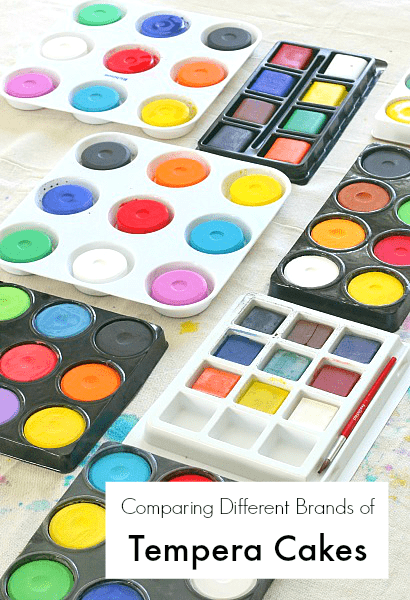 I focused on the boldness and smoothness of the paints, the ease of use, the trays they came in, as well as a few more things that stuck out to me as I tried each set of tempera cakes. Here are the results of our tempera cake comparisons. I’ve listed them in order of our favorite to least favorite. – Rectangular Cakes: Ours measured 1.75 inches x 2 inches. 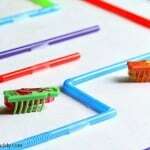 – This set came with eight colors. Once the wet paintbrush was dipped into the water and rubbed onto the dry cake, it only took a good 5-10 swirls to get a good amount of paint on the brush. The paint felt very smooth when painting on the paper. The color was very bold once it dried onto the paper. You can buy individual replacements when you run out of colors. The tray was flimsy, making it hard for kids to carry around. – This set came with 9 colors. Once the wet paintbrush was dipped into the water and rubbed onto the dry cake, it took about 10 swirls to get a good amount of paint on the brush. The paints started out feeling a bit rough, but got smoother as they were used. The color was fairly bold once it dried on the paper. – This set came with 8 colors. Once the wet paintbrush was dipped into the water and rubbed onto the dry cake, it took just about 5 swirls to get a good amount of paint on the brush. The paints felt fairly smooth to paint with. The color was fairly bold once it dried on the paper, although not as bold as the previous two brands. You can buy a second set of 8 cakes in some neat colors. DSS also offers classroom packs, refills, and special trays for the cakes. The container they cakes came in was flimsy making it hard for kids to carry around (but you have the option of purchasing a sturdy tray on their website). I lumped these three together because although they’re sold under different names, they seemed to be the exact same paint. I’m not 100% sure on that, but they all looked exactly the same, and I got the same results with all three. Paid: 9.49 for First Impressions on Amazon (9 cakes), 12.19 for Sax on Amazon (9 cakes), and 6.95 for Blick Tempera Cakes (6 cakes) on dickblick.com. The cakes felt pretty smooth when painting. 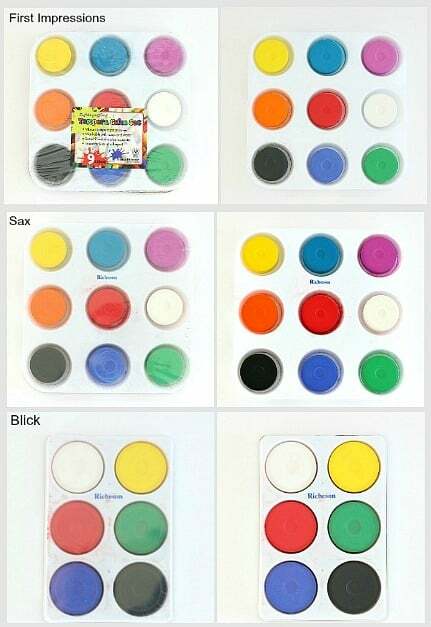 The Blick tempera cakes can be bought individually when you need to refill certain colors, but don’t want to buy the entire set again. It took about 20 strokes with a wet paintbrush to get a good color off the dry cakes. The color wasn’t as vibrant as the previous brands. I noticed a slight paint-like odor when using the paints. The colors weren’t as bold as the previous brands. – Circular Cakes: Ours measured 2.25 inches across. – This set came with nine colors. The paints felt grainy while painting. I noticed a paint odor as I was using the cakes. The cakes disintegrated more quickly than the others. These paints resulted in the least bold colors of all the paints I tried. 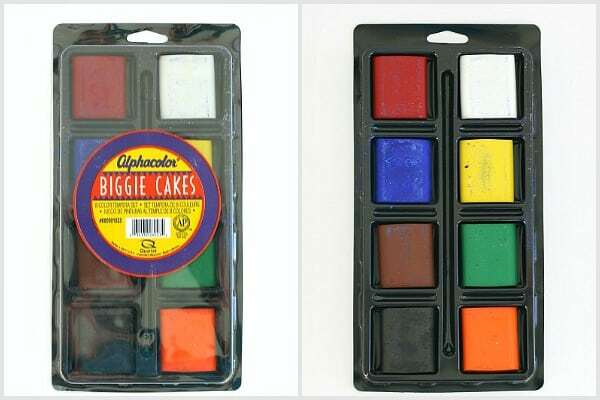 My overall favorite was definitely the Alphacolor Biggies. They were the most pleasant to use, and I loved how bold the colors looked on the paper. The only drawback is they can be more expensive than the others. 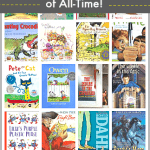 I will definitely buy more of these to use at home with the kids. The Sargent Art cakes were a close second. The colors weren’t quite as vibrant as the Alphacolor, but they were still very bold, and the Sargent Art is less expensive than the Alphacolor. I wouldn’t hesitate to purchase these again. If I were purchasing tempera cakes for my classroom, I’d probably get the Colorations brand. They were affordable, and I love all the buying options: classroom sets, various colors, paint trays and refills. I love how First Impressions, Sax, and Blick (numbers 4-6) came with a nice tray and were easy to use. The color wasn’t as bold as the others, but other than that, they were fine, and I love how you can buy refills for the Blick tempera cakes. What about you? Do you have a favorite brand of tempera cakes or any tips to share? Awesome write up! I love the ease of cake tempera but the only drawback is the lack of mixing capabilities and the chalky-ness with the finished painting. Still, a MUST in the art room. Great post! You can buy the muffin trays from blocks http://www.dickblick.com/products/richeson-plastic-muffin-pans/ and put tempera refills in them yourself. I buy the biggie cakes, and put them in these trays. They fit great! We use tempera cakes all the time in our classroom. I use a spray bottle with water to spray the cakes to get them damp and ready to use in the morning. That way the paint goes on thick because it’s already wet 🙂 Sometimes I spray with a mixture of water/sanitizer to keep it from molding (I inherited the Prang brand initially and they were molded/smelly). I prefer Blick’s brand because of the tray and refill option. I’m so glad to read this post, as I’ve always been curious about other brands. What we order are simply called “Tempera cakes” from the Sax/ School Specialty catalog. One big thing your comparison left out is cost. We buy the refill cakes at around $3/6 of the same color, versus the Alphacolor refill which,seem,to,be,2.85 each? As others mentioned, I use a spray bottle to wept the cakes before use, and I often swirl the paint brush around to get the water,really filled with color. I sometimes,out,up a sign which shows the steps “Paint, Paper, Water” . Early experimenters are definitely more interested in the color mixing than getting anything down on paper! Prang used to sell refills but now have stopped. Let’s bombard them to sell them again. 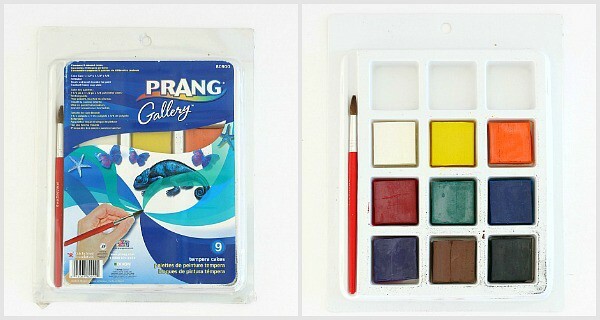 I like Prang because it comes with 9 colors that students want, have empty wells and a lid for mixing, and lid allows them to be instantly stacked for quick clean-up. An added plus is that it comes with a brush included. I am from asia. Our classrooms here dont use these cakes. I would love to try them with my kids. 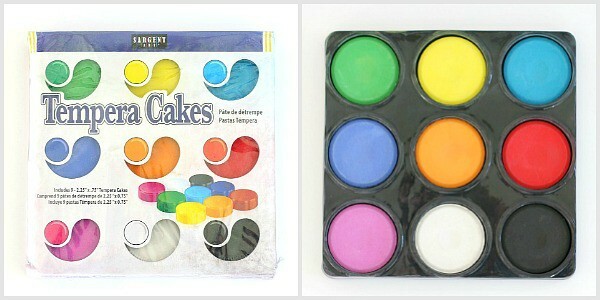 Would any of u share any tips on using these tempera cakes? How long do they last?a year 2 years? Which brand is the best to buy?i am keen on buying colorations as suggested by the writer above. 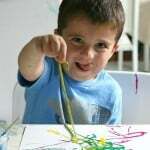 Hi, I teach private art lesson in groups of eight in Canada. I think you can easily only have 3 sets. Two students can share. The larger cakes can last a long while. I don’t know how much you use paint, the size of the paper or how many classes. But anywhere from six months to 16 months, is my best guess. 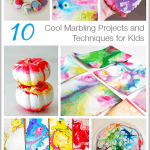 They can be used very similarly to water color. Just give your students pallets to put the color in and add water. As water sits on the cakes the color deepens. 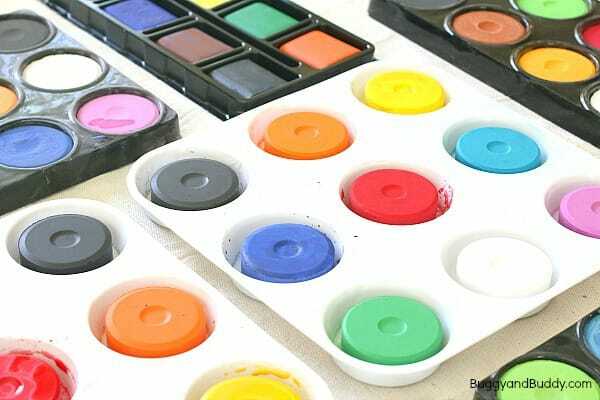 So for even light washes use a pallet, or order an extra tray for students to leave the concentration of color they want. 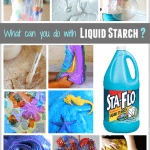 Just add water with a spray bottle. Like watercolor paints, more pigment can be added to make gradations or lighten again with more water. 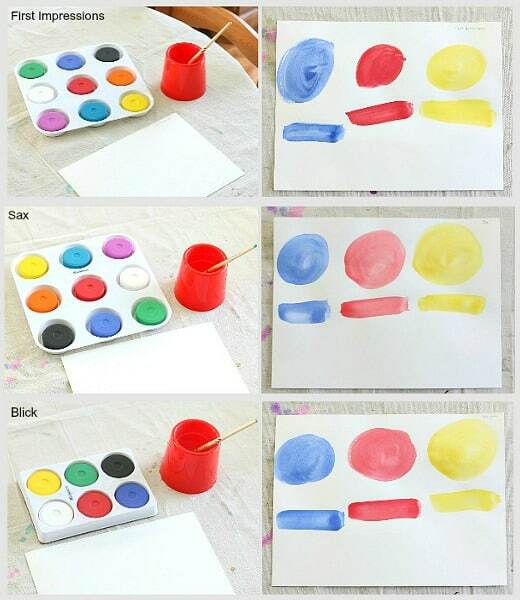 The colors do mix, just use the another tray or pallet for that as well. Unlike watercolor it can have full coverage, depending on the brand. Just moisten with the spray bottle and stir untill the water is opaque. As was mentioned you can do this in advance so it’s ready for the students by letting some water sits on the cakes for at least 30 minutes. Tempera paint in this form it’s hard to blend directly when opaque. 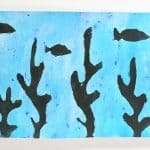 But once it’s dry students can take a clean brush with water and blend between two colors where they meet. The best brushes to use with this paint I found is the traditional Chinese bamboo brushes. Otherwise water color brushes do the job.